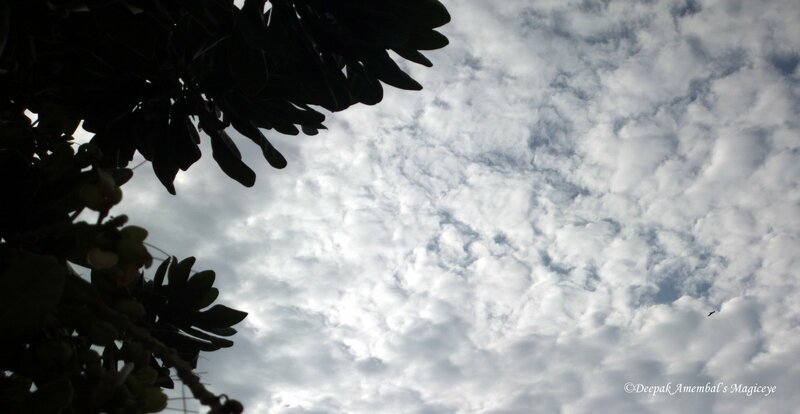 The Mumbai sky - to rain or not to rain? 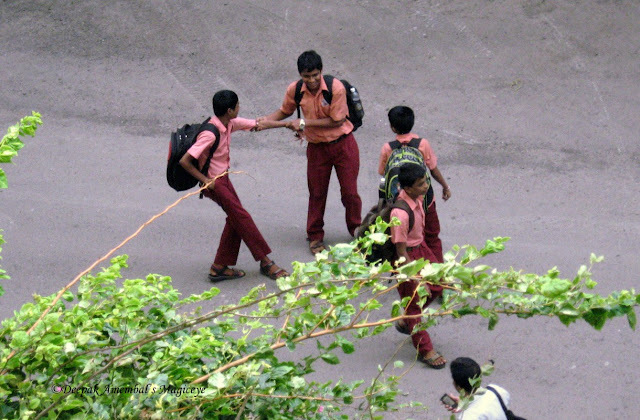 Happy school children after school hours in Bandra. Gossiping at the street corner in Bandra. Children enjoying a game of cricket in Dharavi. Shopping for Chocolates in Bandra. The Mumbai sky last morning. A growing pile of denim jeans in a tiny tailoring shop in Dharavi. 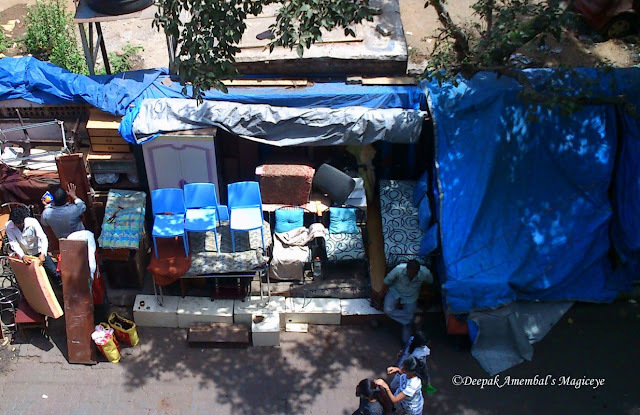 Fruit seller on Bazaar road, Bandra West. After weeks of excitement building up, the day finally arrived! 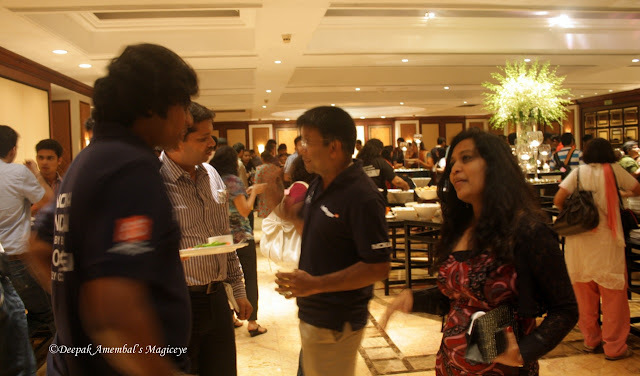 Yes the 5th anniversary celebrations of Indiblogger! And what better way to do it than to have a Nokia App Tasting event, hosted by Vikas Khanna and Rajiv Makhni the two masters of gastronomy and technology, at the Taj Lands End Hotel in Mumbai! 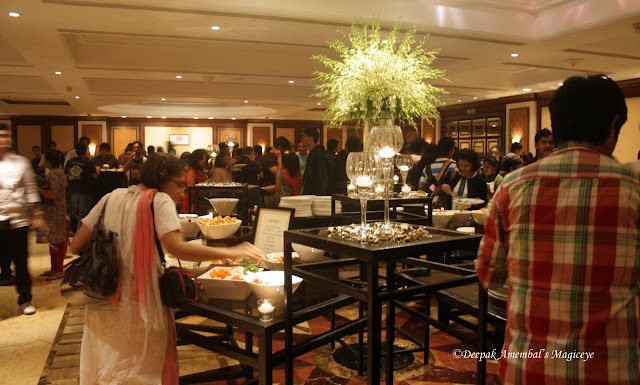 More than 200 bloggers from all over Mumbai and neighbouring cities were assembled to make this evening a very special one. fists and motivating all at the event to do the same! Masterchef extraordinaire Vikas Khanna to hold centre stage and keep the bloggers enthralled for the next couple of hours with their witty tete-a-tetes and quizzes. 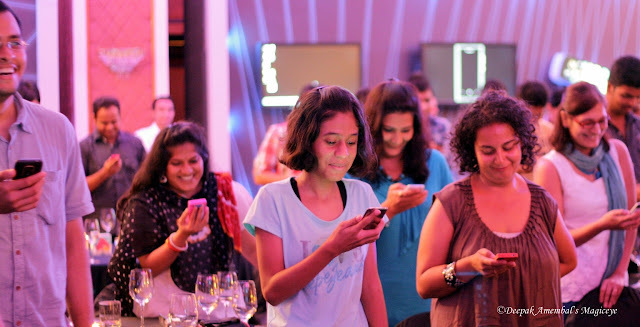 They started off by calling bloggers onstage, based on varying criteria like the youngest blogger, oldest blogger and so on for introductions and giving away prizes to the wittiest. 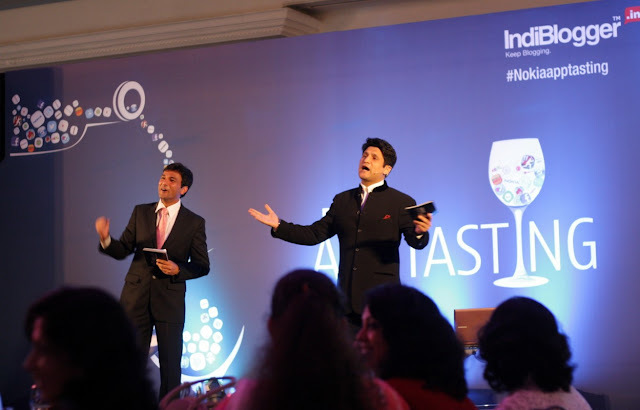 This was followed by a demonstration of ‘How to slice onions easily’ by Vikas Khanna and 4 food bloggers were invited onstage to participate in a contest to slice the onions as demonstrated and the best ‘slicer’ was awarded a prize. And then Rajiv Khanna charmed all bloggers to express their love for technology by making them kiss their cellphones! This set the grounds for ‘apptasting’ a term coined to experience some wonderful applications that can be used in daily life on one’s Nokia phone. Rajiv Khanna presented a few new apps that are bound to be very popular! 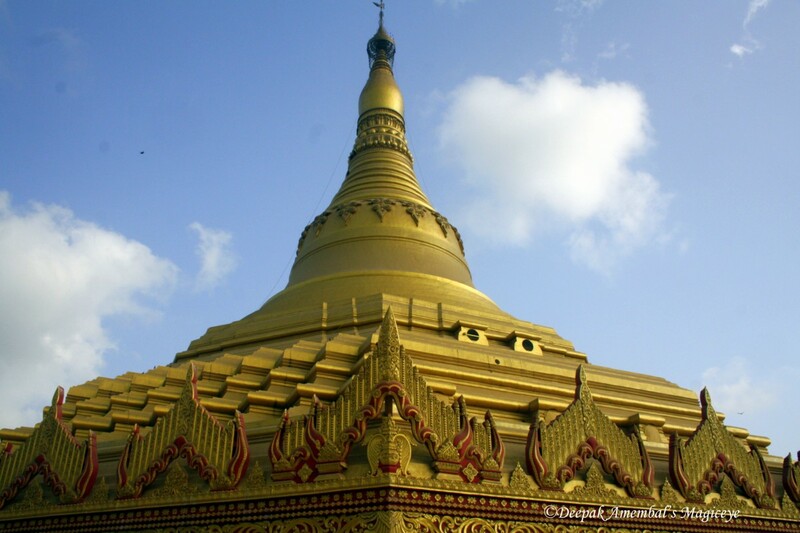 The one that I loved was ‘City Lens’ which will ensure one is never lost for anything, anywhere! One just has to activate this app and point the phone in any direction and it will display all the different facilities available in that direction like restaurants, clubs, hospitals etc., with links for phone numbers and directions to get there! Nokia also announced that within a couple of weeks all Nokia users will be able to request for creation of apps that they feel would be useful and Nokia would work on it to develop and present the requested apps to the world! If that is not user friendly what is! 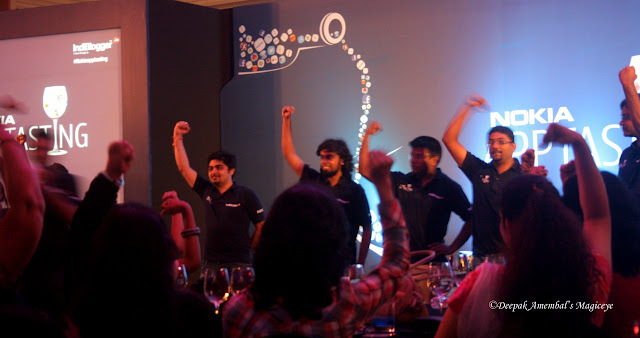 comprising of foodies and techies. The quiz was fun with the humour injected into the proceedings by the wonderful hosts. The questions that could not be answered by the participants were passed on to the audience which ensured a healthy participation of the audience at all times! Dinner was announced and on the way to the dining area, lovely Indiblogger Tshirts were given away to all the participants. established, apart from meeting up with bloggers that one had interacted in the virtual world. There was a lot of bonhomie, good cheer and photography sessions with the celebrity anchors who were ever obliging. 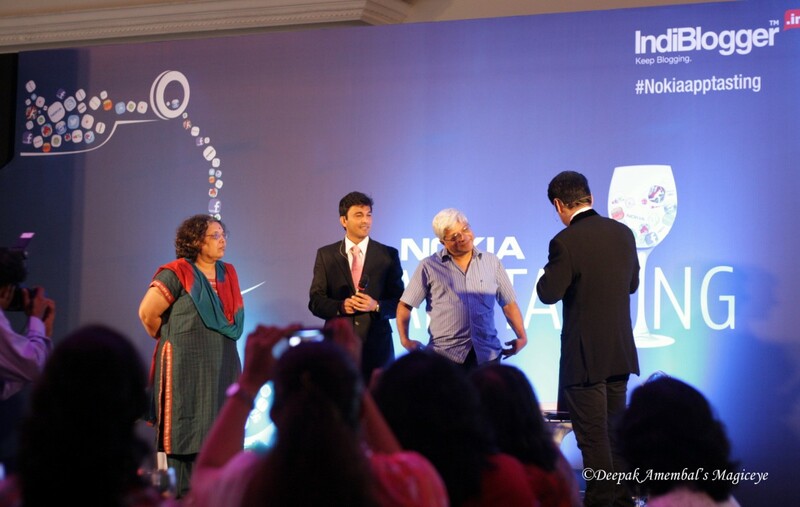 Thank you Indiblogger and Nokia for a wonderful apptasting event! The recycling hub of Mumbai - Dharavi. 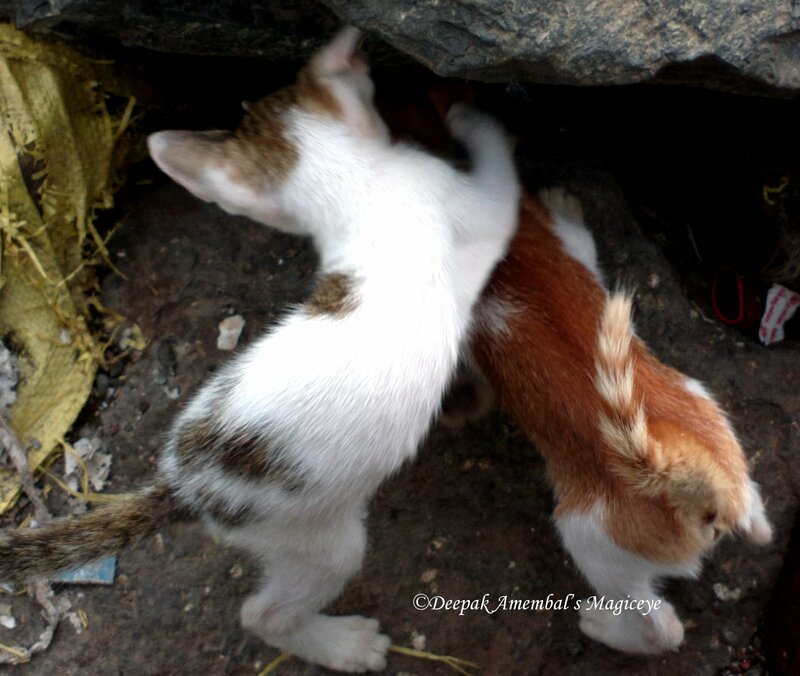 Kittens at play on the rocks off Carter road, Bandra. A big blue Can next to the iconic Sculpture of Jesus Christ on Chapel Road, Bandra West. The Mumbai sky last evening. 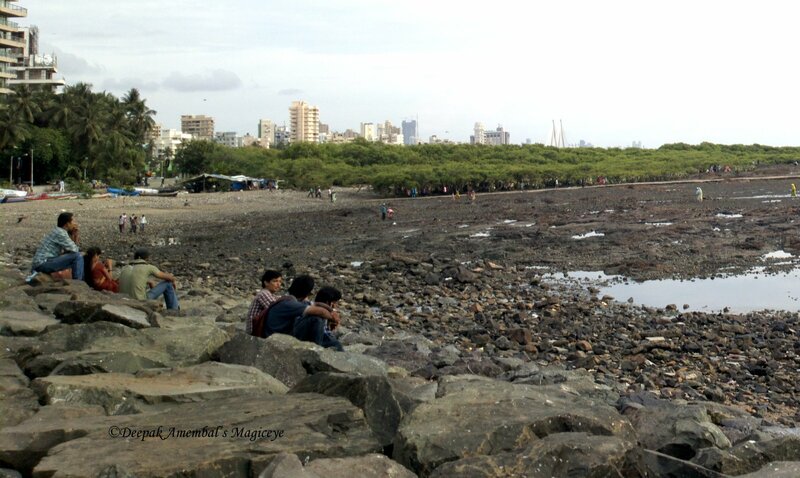 At Leisure on the rocks off Carter Road, Bandra. Education and Emancipation for all - the 2 hallmarks of our Republic since we achieved Independence from British rule this day 65years ago! A rainy night in Mumbai. Three is not a crowd. 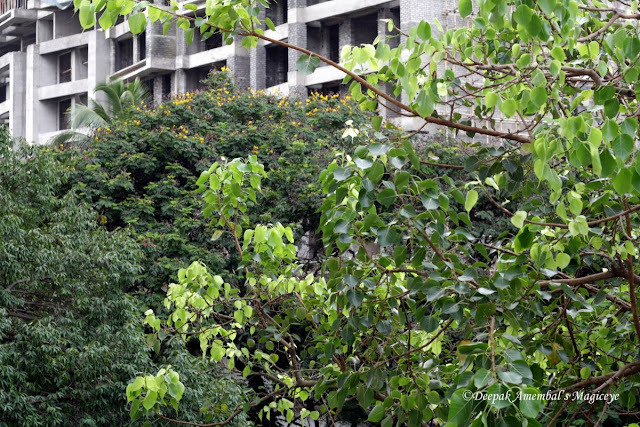 There is plenty of nectar for all the three bees at the Maharashtra Nature Park in Mahim! Newspaper delivery boy in Bandra East. Hey guys, am travelling now. Be back in a week to visit all your lovely blogs!! A butterfly at the Maharashtra Nature Park. Ooooo a water path and a path on land at Maharashtra Nature Park in Mahim. A lull in the monsoons in Mumbai. Raut's bungalow built is 1889 still stands - Tough, strong and durable, in South Mumbai. 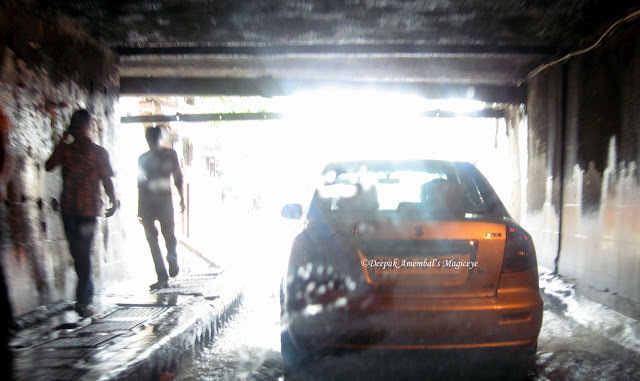 This post is part of the Capture the Colour competition and coincides with the ABC Wednesday -C.
Have posted 5 colours of Mumbai that I see daily as I travel and commute in this lovely city. 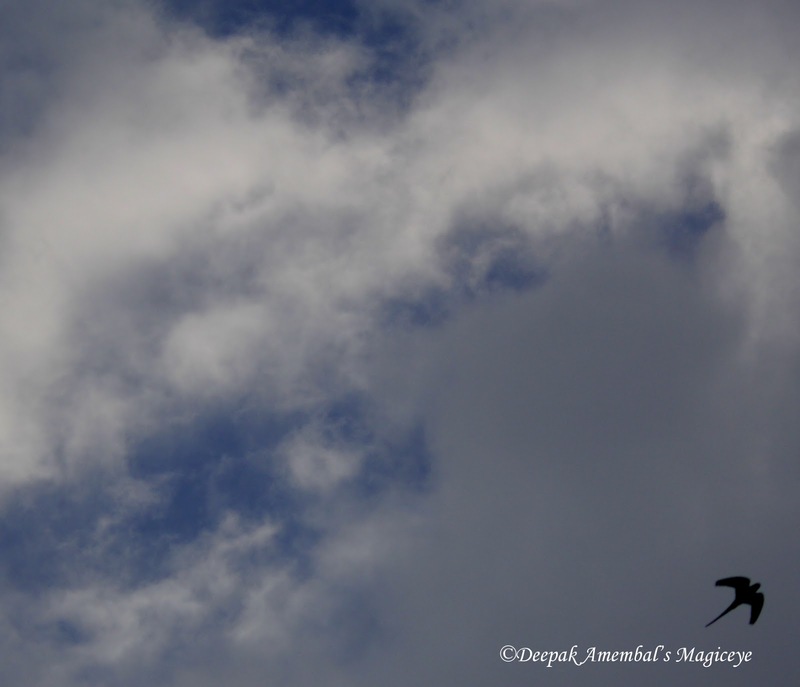 Blue is the predominant colour seen as monsoon approaches. Clicked this on the street leading to Bandra station. In an effort to keep Mumbai Green, all builders have compulsorily plant a certain number of trees around the apartment/shopping complexes they build. 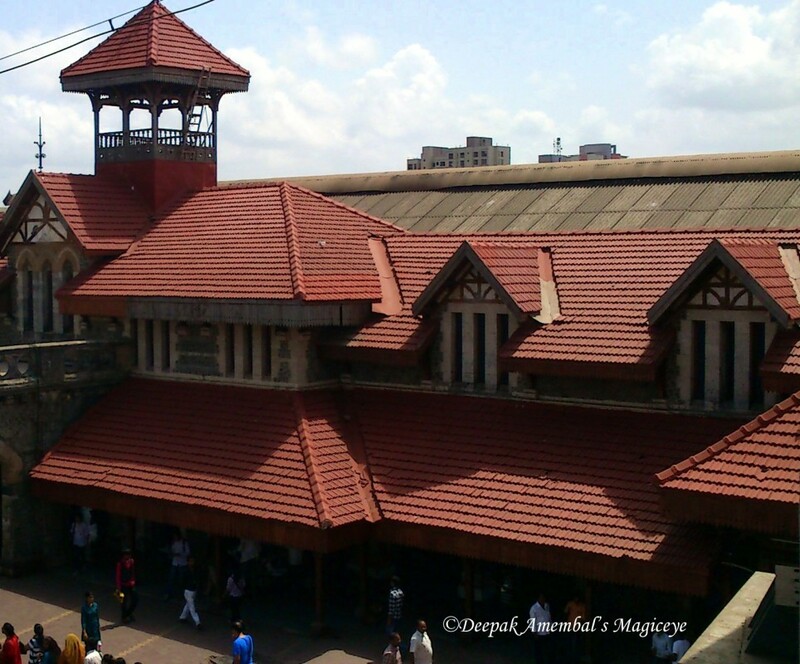 Red Mangalore tiles are the mark of the more than a century old Bandra Railway station retaining its quaintness and heritage. To enhance the colours of the competition I nominate the following 5 to participate and show their true colours! All bloggers who wish to participate in this competition, please visit Capture the colour for the terms and conditions.